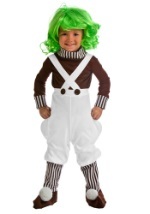 Your toddler will look so cute in this exclusive dwarf costume! 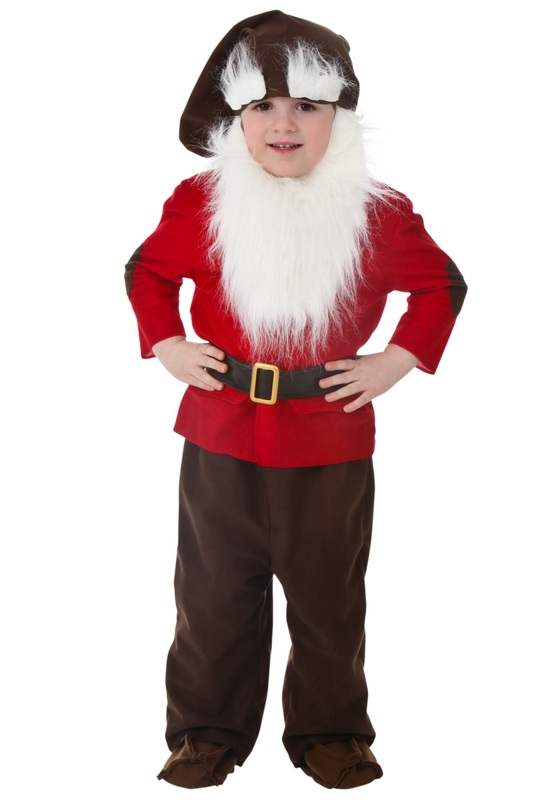 This toddler dwarf costume starts off with a soft polyester red shirt that closes in the front with Velcro clasps. There are faux pockets on the sides, and yellow patches on the elbows of the sleeves with black stitching for contrast. The hat is brown with an elastic band at the end to fit around the face. The hat has white fur that look like eyebrows that sit above the face, and a white beard that hangs down under the chin. The faux leather belt straps around the waist with Velcro that is adjustable, and also features a plastic belt. The brown pants have an elastic waist. The booties are in a matching brown with elastic to secure around the ankle. This costume is also great as a gnome costume!